With its curvaceous, concave screen, self-healing coating and snappy handling, the G Flex 2 is certainly a conversation starter – but is it anything more than that? 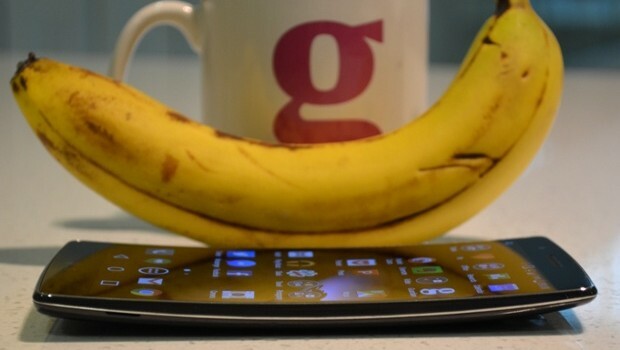 LG’s second generation curved phone, the G Flex 2 is shaped like a banana – which makes it an attractive curio and it’s interesting to use, but should people actually buy it? The idea behind the concave screen is that it is a more natural shape for a device designed to fit against the body, be that the face or the backside. The G Flex 2 is has a 5.5in full HD screen with a gentle concave curve that rather looks like someone has sat on it and bent it. The body is all plastic but ironically, given the name, has little flex or give. When placed screen-side down on a flat table, it is possible to flatten the phone out, but it takes quite a lot of pressure. LG assures me that it can take the full weight of an adult standing on it without issue. In the hand the gentle curve of the phone feels really nice, despite the smooth plastic texture not feeling as premium as glass or metal. On the face, the curve feels more like the flip phones of old, and is supposed to pick up more of the person’s voice although I didn’t notice any difference during phone calls. There are no buttons on the side ; the power button and volume buttons are relegated to the back of the device under the camera, which naturally line up with an index finger when placing a call. The back is covered in a self-healing coating, that seals up and removes small scratches within around 15 minutes. In testing a slightly heavier scratch couldn’t be healed, but over the space of about 20 minutes it did diminish in visibility but could still be felt. The G Flex 2 is more average-Joe-on-the-street than Wolverine powers of healing. The screen is bright with solid blacks and is relatively crisp and detailed. It isn’t quite in the same class as LG’s higher pixel density screens such as the 5.5 in quad HD screen on the G3 or the curved edged screen of the Samsung Galaxy S6 Edge, but is higher quality than most flat full HD screens.